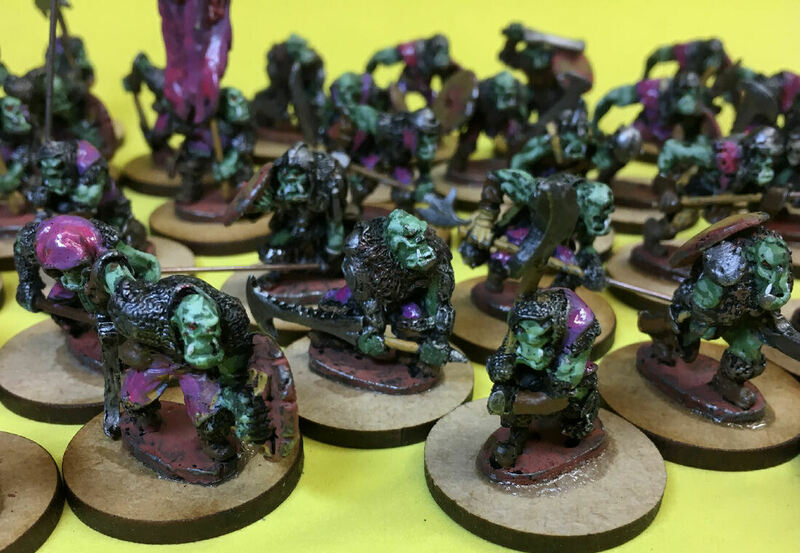 Way back in the mists of time when Warhammer was first published I had an army of (mostly unpainted) orcs and evil things. 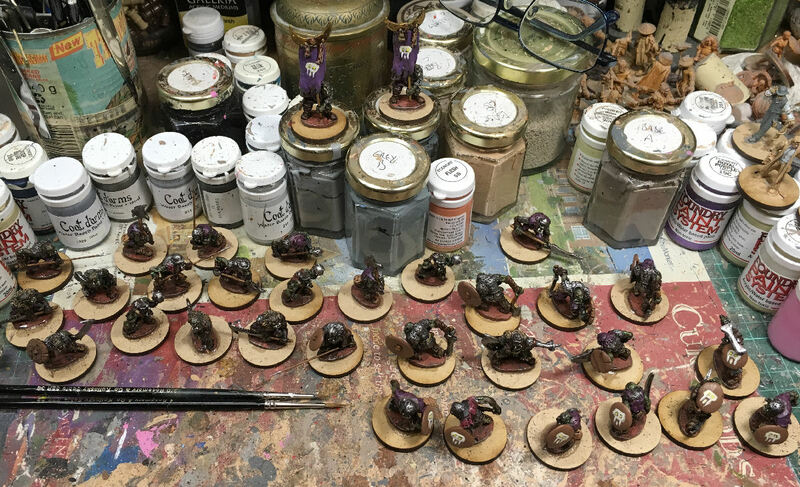 My criteria for what went into my army was that every model had to be made by Chronicle Miniatures. I really like NIck Lund's sculpting style. It's a triumph of character over accuracy which appeals to me much like the Britannia Miniatures that I have so many of. 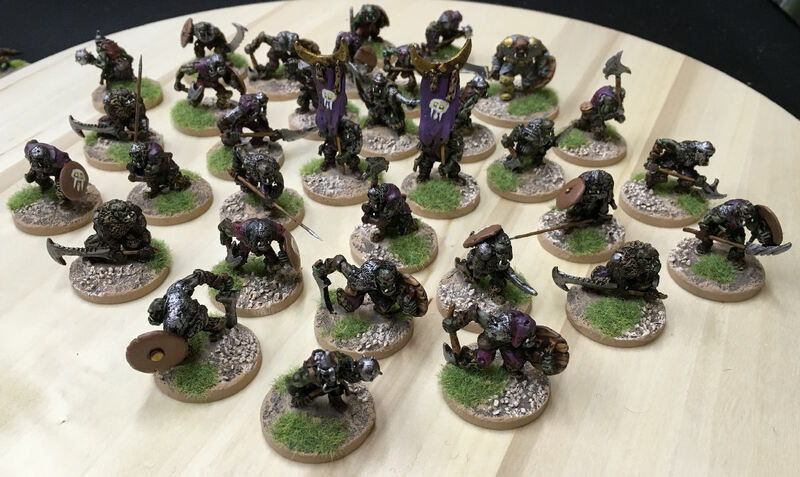 My early Chronicle orcs are long gone but recently I decided I'd like to own some again. I trawled eBay where the prices are silly. I looked at Mirliton's site where the prices are slightly less silly but the postage is a killer and I left it at that, one of those 'sort of' projects that might happen some time. 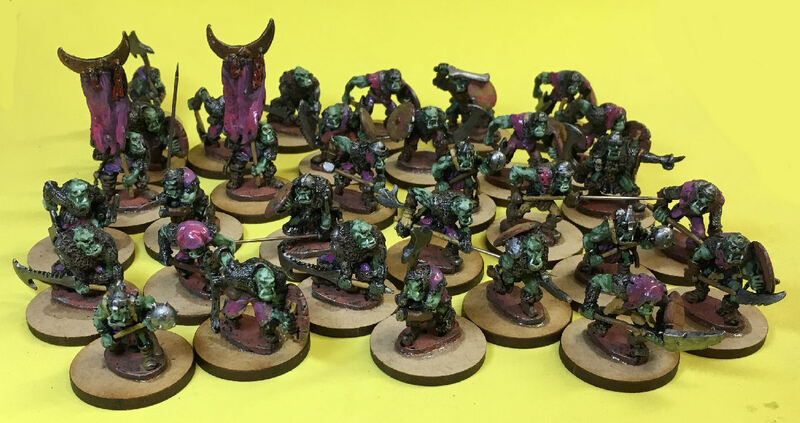 Then one day there was a thread on the Lead Adventure forum with someone selling 32 painted Chronicle orcs for less than the cost of buying them new. 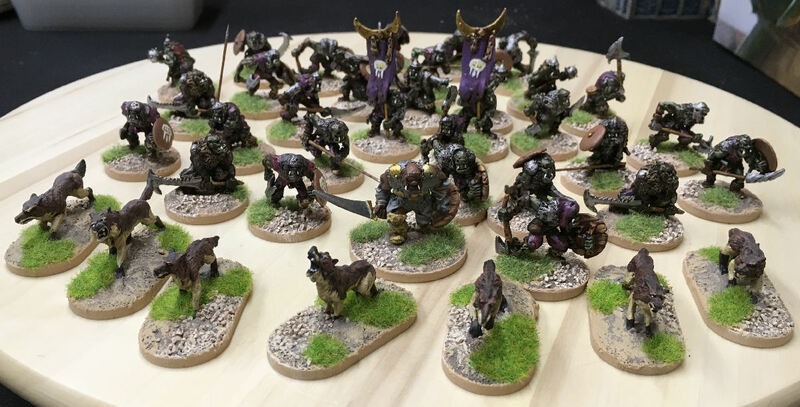 32 orcs is a four point SAGA warband! I was a little unimpressed when they arrived. 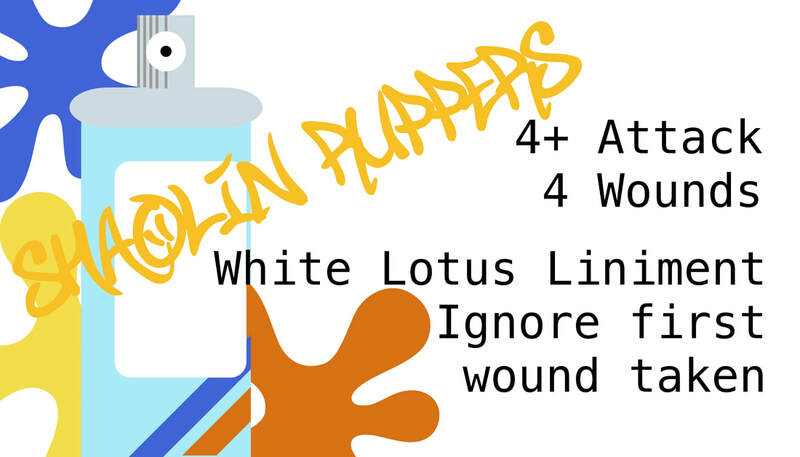 The painting was rudimentary and four were broken. Never mind, I was sure I could tart them up. 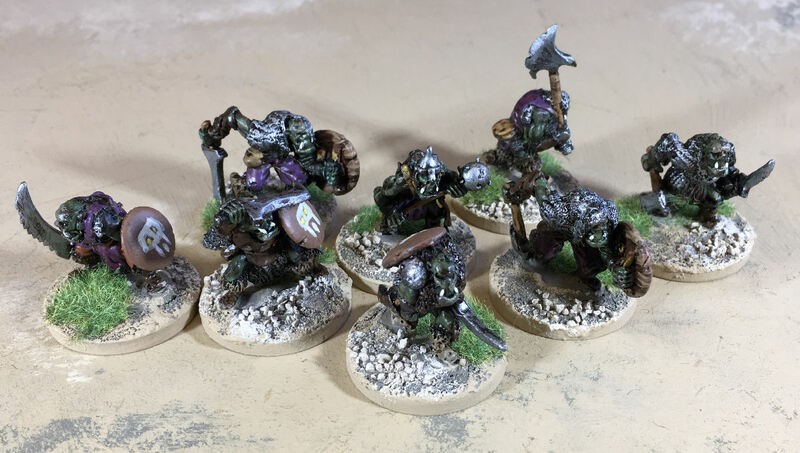 I based them all on 30mm bases and I drilled out hands to add metal spears to the four broken ones (I only had spears available but I'm happy with them). 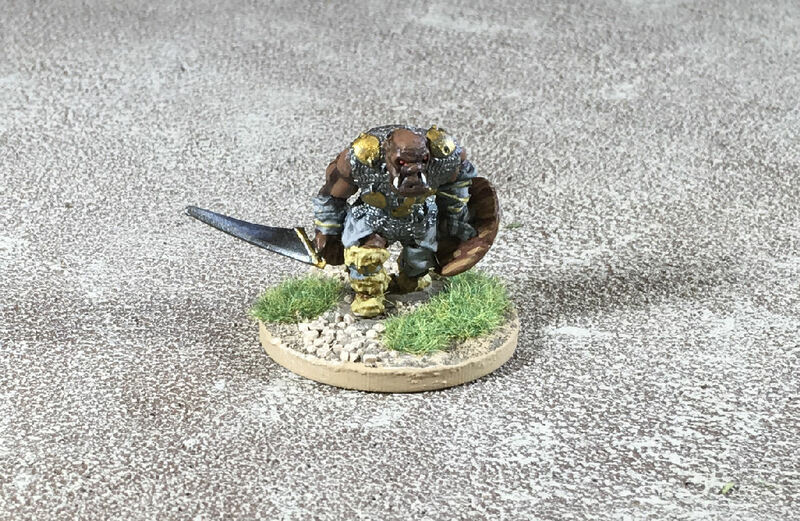 I needed a warlord so I bought a single Chronicle Big Orc and painted him up. 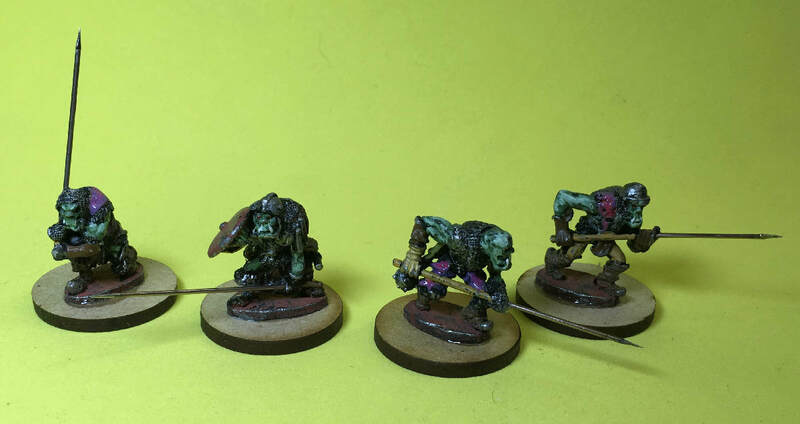 Painting this one miniature proved to me that buying the others painted was a good ides, Chronicle miniatures are not easy for me to paint, they really don't suit my style. 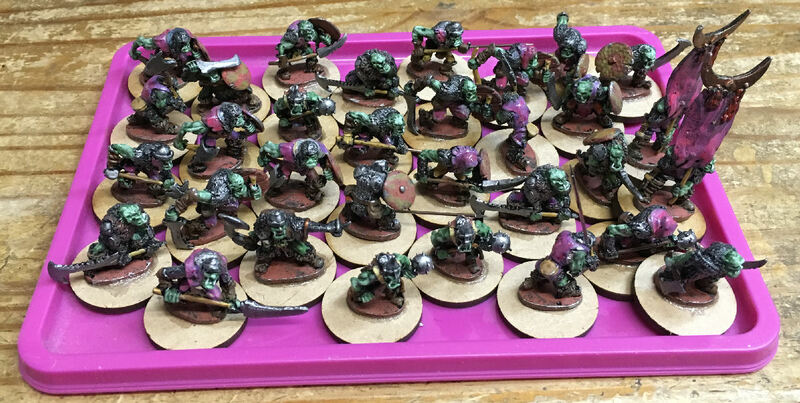 I tidied up the painting on the orcs by going over their purple clothes, painting the weapon shafts and covering where they'd been knocked so the metal was showing. Then I added a brown wash before going in again and dry-brushing the armour and fur. 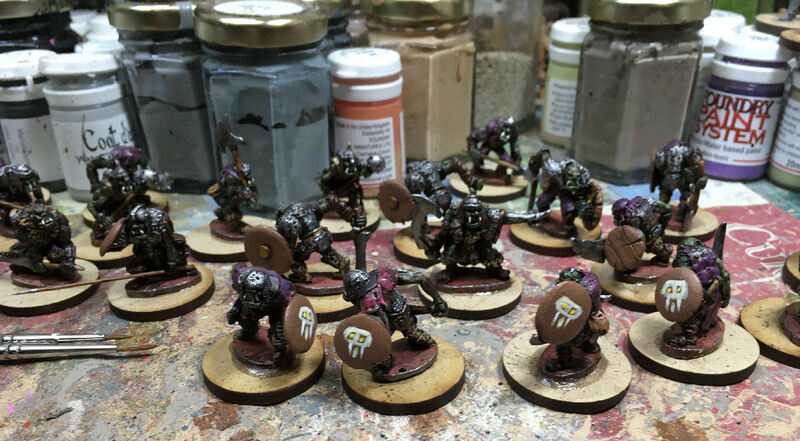 I painted the shields and added a wood grain to the backs where appropriate. 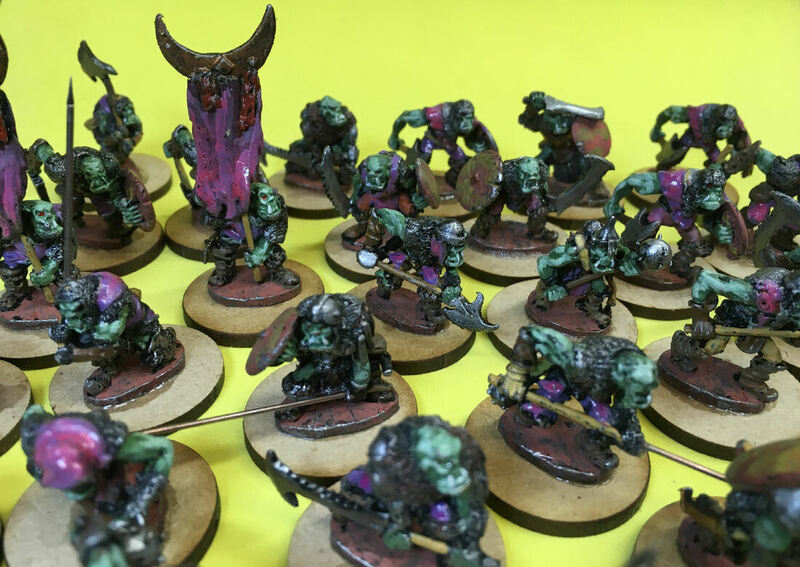 I picked out the tusks and, because I had time, I painted a simple shield design on the flat shields and banners. The banners got another purple coat before the designs went on to brighten them up a bit. 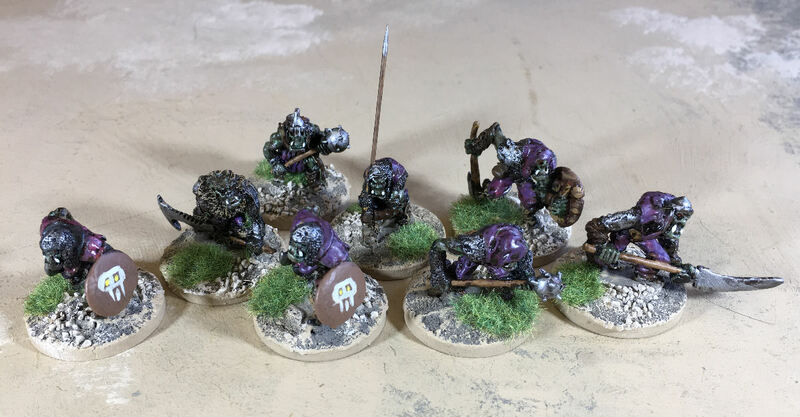 With added Ral Partha wolves.